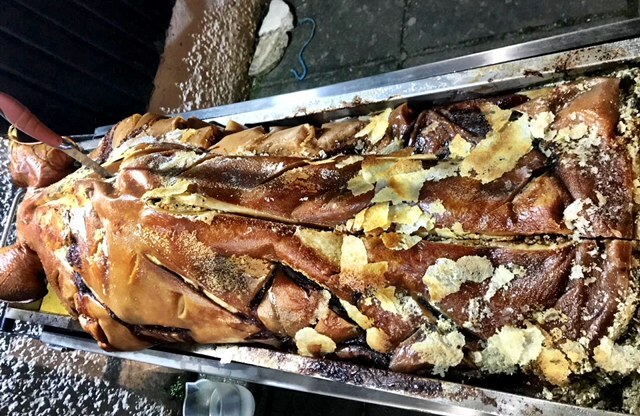 When organising a party or event yourself, you can easily get stressed out with everything that you have to do but if you hire caterers like Hog Roast Ampleforth, you can save yourself time, energy, and even money and also impress your guests at the same time. One of our fantastic hog or spit roast centrepieces will thrill and amaze, and you won’t even have to do the dishes at the end of the night either, as we discreetly clear away all trace of our services. When Rosie called Hog Roast Ampleforth a few months ago to enquire about us catering her parents’ wedding anniversary, we told her all about the many options we have on offer. You may be as surprised to find out, as Rosie was, that we don’t just prepare, cook and serve hog and spit roasts, though they are our specialities and we do them extremely well. We can cook just about anything you can think of for your special occasion, including a gourmet barbecue, a meal with multiple courses or a selection of meats and sides to ensure all your guests are well-fed on the day. Our Southern Slow Roast Menu gives you your choice of three marinated meats and four additional dishes or you could mix and match items between menus to create your own bespoke menu if you prefer. We really love to offer variety and choice when it comes to our customers and their guests and that also includes for special diets, like vegetarian or vegan too. Whatever you have in mind, Hog Roast Ampleforth is a wise choice for everyone invited. Sometimes, however, one of our menus is perfect just as it is, and for Rosie’s parents’ party, that would be our sumptuous pigs in buns. On the day of the anniversary party, our team arrived at the house venue and set up our equipment in the back garden. Before long, we had a medium sized pig sizzling away and it was cooked to perfection by 4pm, when the guests had all arrived. Once carved, they queued up for some of our lovely food and many came back for seconds or more.